Hiya! 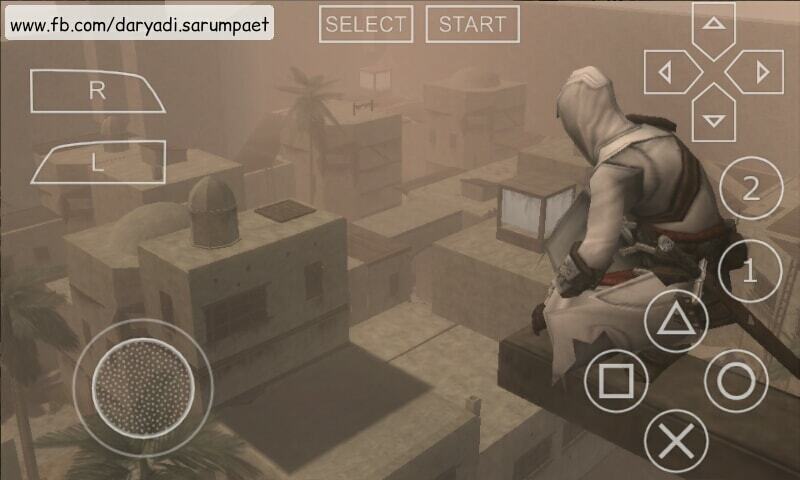 The popular Ubisoft action game series was hit on Playstation Portable (PSP) and bring its authentic parkour-sneak and infiltrate action, it is Assassin's Creed: Bloodlines. With it's authentic gameplay and nice graphic, Assassin's Creed Bloodlines deserve the title as one of best PSP game ever. genre Action, Sneak n' infiltrate, Free roaming. Assassin's Creed Bloodlines is the only Assassin's Creed game ever released on PlayStation Portable handheld gaming platform. 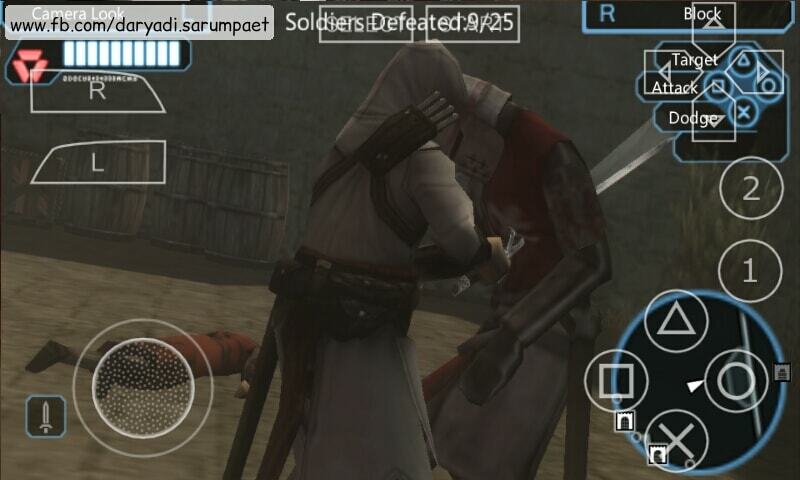 Meet Altair, your Assassin's Creed in this game and accomplish all mission from your orders. We need to assassinate our target as fast and as efficient as possible. Move from the shadow and finish it all in a blink of eye. 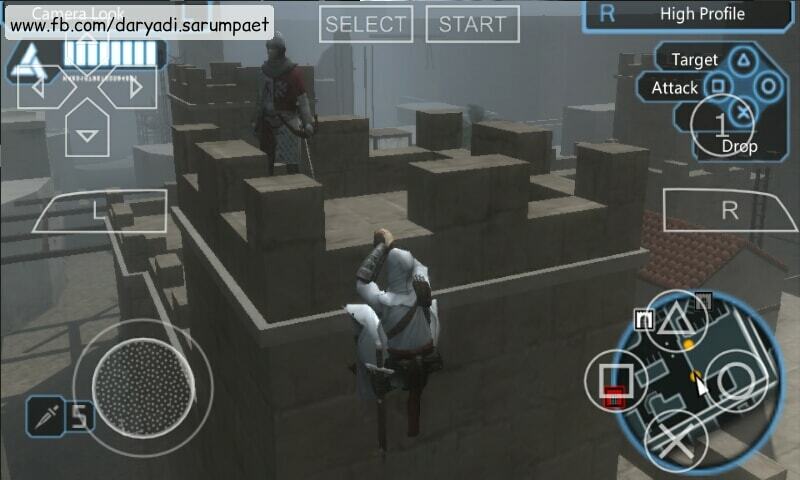 That's the main idea of Assassin's Creed game. Use your holy sword, throw you knife from afar, sneak and from behind, or use anything necessary to kill your enemies and accomplish the given mission as efficient as possible without causing a ruckus in Assassin's Creed Bloodline. And don't forget the iconic "Eagle view" and "Leap of faith" to discover your surrounding. If you cause too much ruckus around you, it just will turn on the alarm to call more enemies. If you on a dead end where enemies surround you, there is no other way except run hide. 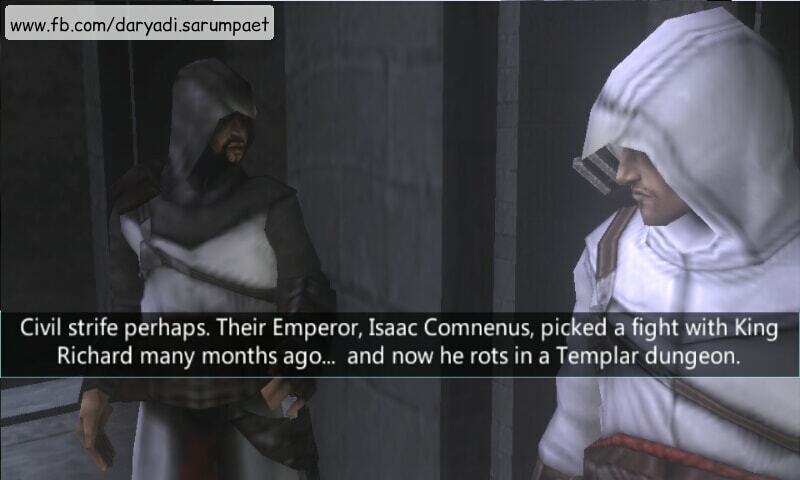 If Altair is boring on taking missions on Assassin's Creed Bloodlines PSP game, maybe you should just take him strolling around town, or annoy the villagers LOL. But don't do it too much, because it will break one of ethic as an Assassin's in your order: To not hurt innocent people. 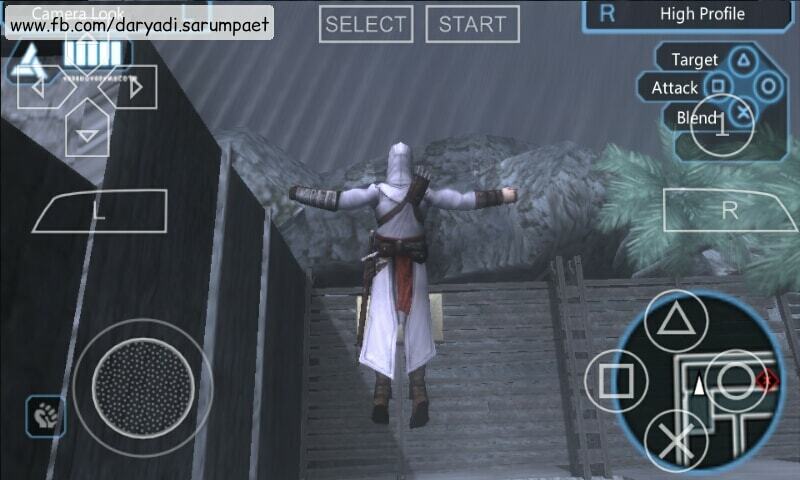 The only critic for Assassin's Creed Bloodlines PSP game is the gameplay duration. If we on serious mode, we can finish this game in only one sit gaming time. 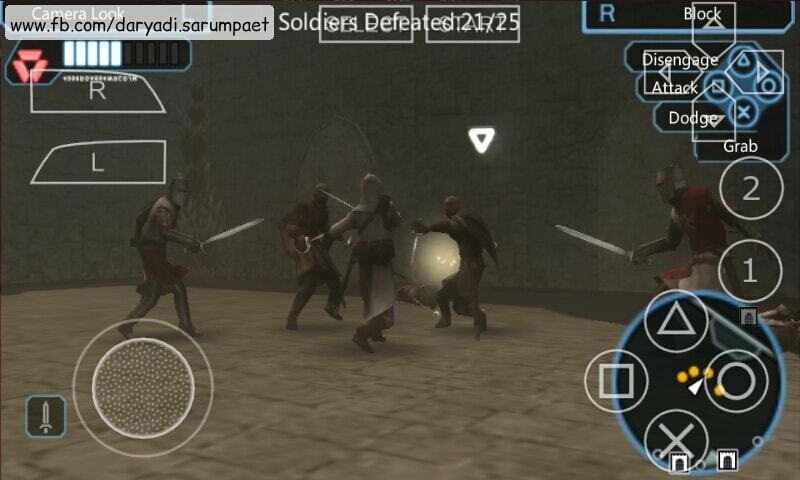 Comments (0) in "Assassin's Creed Bloodlines PSP Game on Emulator"